Oh, well, anyway Colin Firth (quite deservedly) in The King’s Speech and Natalie Portman in Black Swan were the foregone choices in their categories, and Speech had been building up momentum for Best Picture. Best Original Screenplay? I already expressed my views earlier on the question. 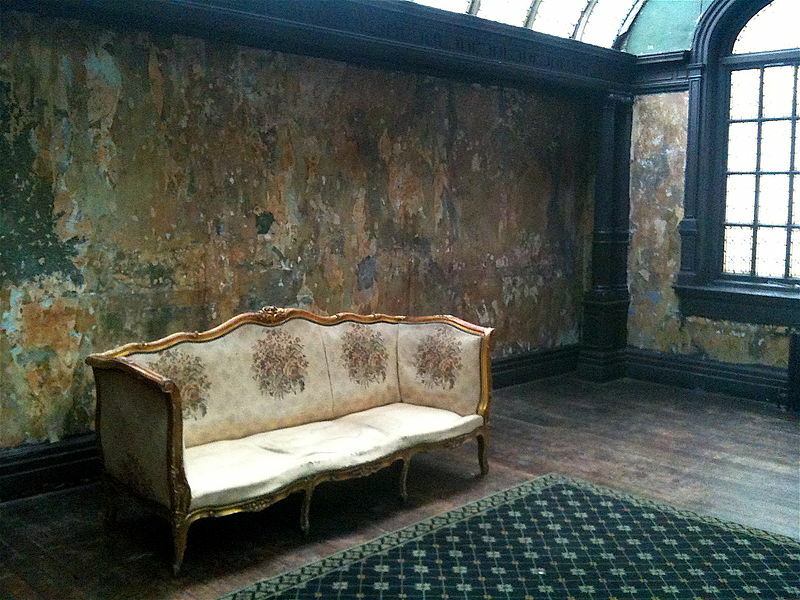 To illustrate this post, here is a photograph (credit: David Barrie) of the room where Lionel Logue received the Duke of York, later George VI, in the film. I naively believed it was a set, but should have known better: one can’t manufacture this frighteningly realistic degree of shabiness. I have been told this indeed a private residence in London’s Marylebone district. One of the touches, with the performances of course, that make the film a pleasure to watch.